He pinches his fingers together and looks at me sideways. I squirm in my seat. I already know what he’s about to say. “Türkiye, güzel mi?” he asks. 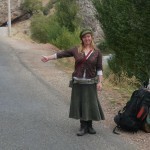 Anyone who hitchhikes in Turkey will have this experience: you have been picked up by someone and are driving along. They want to make conversation with you, and all they can apparently think of is to ask if Turkey is beautiful. The smile that was spreading across his face pauses and stiffens. I see a frown begin between his eyebrows. This part of my response wasn’t in the script. In the South-West of Turkey, many people speak English. So it was with our first driver, who had collected us on the way out of Kalkan and dropped us by the turn to Gelemiş. I stared down the road, yearning to take it. 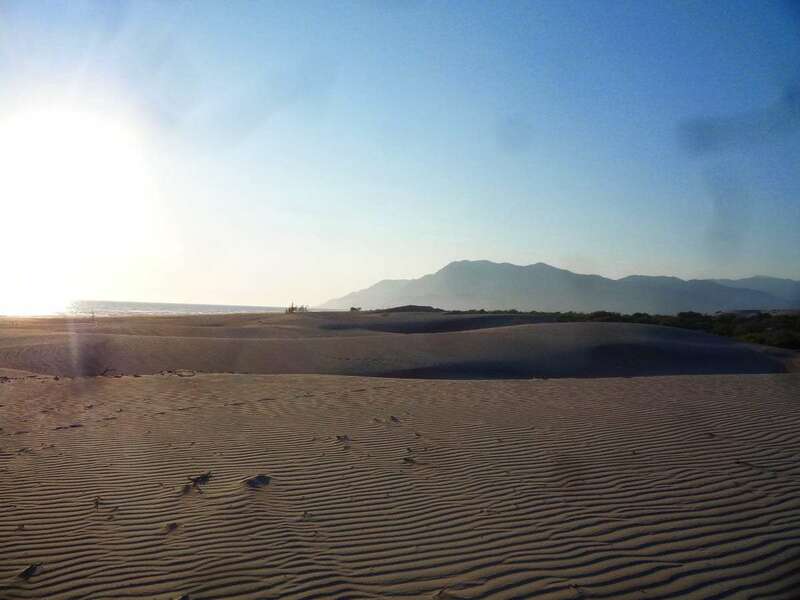 At the end of that road is 20km long Patara Beach, with huge deep sand-dunes and miles of pristine white sand. It’s my favourite beach, and I had been looking forward to taking Hrach there and camping in a beautiful wild place. Time was against us. We cast our thumbs to the road in the direction of Fethiye, away from the beach, and were soon picked up by this Kurdish man. It’s not that I disagree that Turkey is beautiful. Of course it is. It’s more that I have grown weary of repeating again and again, “Evet, Türkiye çok güzel!–oh yes, Turkey is very beautiful!” merely to reassure Turkish nationalists who have never actually seen another country. Ninety percent of Turkish drivers I have ever been picked up by have done exactly this gesture, and said these exact same words to me, usually accompanied by the same facial expression. There are around 200 countries in the world. How can anyone say which is the most beautiful. What does that even mean? I blame the indoctrination. Every morning at school, every Turkish child has to recite the same lines parrot fashion, while standing in regimented rows, facing the statue of Ataturk, father of modern Turkey, whose image has to be on display by law in every public building. I am a Turk, honest and hardworking. My principle is to protect the younger to respect the elder, to love my homeland and my nation more than myself. My ideal is to rise, to progress. My existence shall be dedicated to the Turkish existence. O Great Atatürk, who had created our life of today; on the path that you have paved, in the country that you established, I swear to walk incessantly with the purposes that you have set. This driver is Kurdish. I know that, because I asked if he could speak any other languages, and he said that he speaks Kurdish. I also see that he is not well educated, and probably grew up in a small village. If he had grown up in a city, he almost certainly wouldn’t speak Kurdish. I like this friendly, humble man, and I wish he wasn’t so brainwashed. “Have you been to another country?” I ask him. “No.” He says. He seems very confused indeed. We arrive in Fethiye and this lovely man insists on taking us to the door of our host. He calls her twice for directions, but we drive up and down the same street wthout finding it. He stops to ask people for the directions to the address I have written down. I know he’s late, because he already had a phone-call from someone and I heard him say he was on his way. When we stop to ask for the second time, I persuade him to let us out of the car and we find the address much faster on foot. We rap at the door and a girl answers, welcoming us like old friends. Saina is going to be our first ever Trustroots host. She had forgotten we were coming and invited friends round for dinner, which is great for us as it means we get to meet several interesting people at once. Saina is from Iran. Three of her friends are Turkish, and one of the guys is Syrian. The latter is particularly charismatic and tells a gripping tale of how he managed to escape into Turkey after fighting for the Free Syrian Army. He describes creeping across the border at night, being shot at, running frantically without a clue where he was heading, and losing all of his money and belongings. A girl he met at the bus station asked where he was from and he told her what had happened. She asked where he wanted to go. He didn’t know anything about Turkey at that time, so he said, “As far from Syria as possible.” For some reason, she bought him a ticket to Fethiye. A year later, he’s still here. After a delicious vegetarian Iranian meal, we all head out into the night. All seven of us hitchhike a car with a guy who takes us first to one bar, then another. This is deeply confusing for me. One of the Turkish girls keeps calling him to come and get us. He seems perfectly happy about this and I’m certain she must know him, but apparently she doesn’t. The weather outside is insane thunder and lightning storms, with rain falling in sheets across the city. 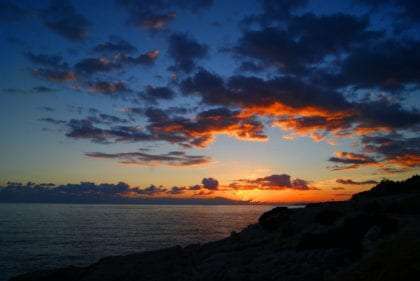 We watch strips of lightening slash open the sky from the final bar, which is raised above the skyline, giving us a view out to the stormy seas. The man comes to take us for the final time and drops us back at Saina’s house, safe and dry. Our Kurdish driver calls twice to check that we’ve arrived safely and that we have everything we need.